Role: Protection of Authority assets; Homicide, Vice and Arson investigation. Description: MST Sierra-8 is an investigative task force assigned to protecting Authority assets from internal and external threats. MST Sierra-8 is comprised of mostly of detectives from various desks as well as hired private investigators around the world. Investigators are assigned to one of the various desks, namely the Homicide, Vice, Arson, Anomaly and the Cartage desk. Agreements with various governments have been made to seamlessly integrate the investigators with various countries' police department if they are taking a public case. Investigators may take on a case from a different desk if they are competent in the field or has received an order from the commanding officer. Investigators mainly work on their own and usually take over any case from any police department or federal agency if they so wish. However, joint operations may be initiated with permission from the Global Directors. 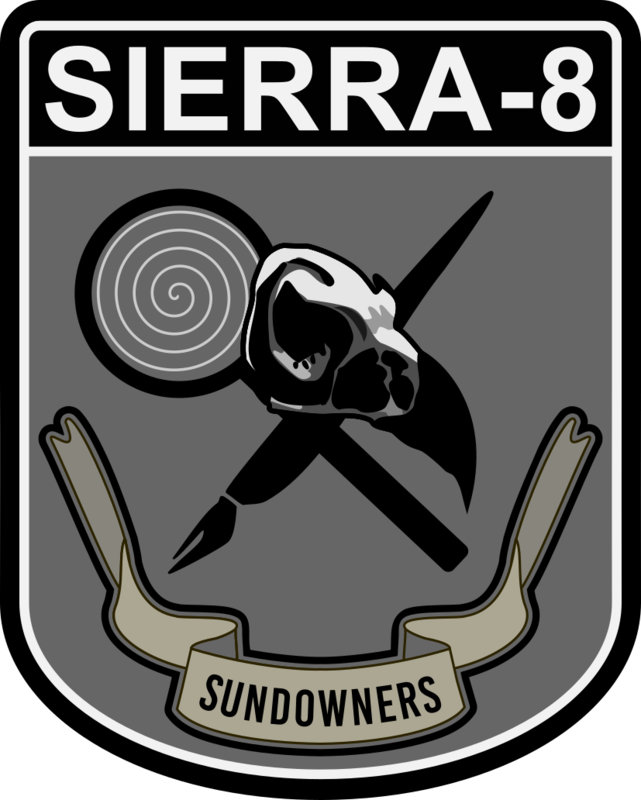 MST Sierra-8 was established as a counter-attack to the rising threats sourcing from the newly formed Raven Mafia. Initially, the Authority received little-to-none damage from the actions of the Mafia. However, in 1917, several attacks to the Authority's assets across the United States were carried out with similar modus operandi on each attack. The Board of Global Directors unanimously agreed to establish MST Sierra-8 in 19/12/1918. [19/12/1918, 14:42]: Inv. ██████ entered the basement of ████ Ravine, located in ██, USA; a well-known speakeasy. Inv. ██████ successfully received the whereabouts of the suspects. [19/12/1918, 14:59]: Inv. ██████ was ambushed by two figures; one male, one female equipped with automatic weapons. Ambushing figures escaped the scene shortly after, Inv. ██████ died on the spot. Head Investigator is replaced by Inv. Thomas White. [20/12/1918, 09:43]: Inv. Thomas White followed the lead left by Inv. ██████. Inv. White found the warehouse used as a drug trafficking front by the Raven Mafia. [20/12/1918, 09:47]: Shootout occurred in the warehouse. 18 casualties; 12 Mafia members, 6 local police officers. The ambush figures were killed as well and brought to the nearest outpost for autopsy. [21/12/1918, 15:21]: Autopsy results indicated that the ambushing figures were wearing clothing articles of the late Bonnie and Clyde. Clothing articles were classified as Alpha-White anomalies and taken into Authority containment. [21/12/1919, 00:00]: Reports of alcoholic beverages with [DATA EXPUNGED] effects were received. [1/1/1920, 12:00]: Joint operations by the Authority and The US government was initiated. All alcoholic beverages were banned from sale in the United States. [1/1/1920, 18:23]: Inv. McOnie was tasked to track down the source of the anomalous beverages. [12/09/1929, 11:57]: A direct connection between various inner-city bootleggers and Alphonse Capone was discovered. Attempts to assassinate Mr. Capone was were failed due to constant surveillance. [30/06/1932, 07:32]: A large shipment of anomalous beverages were intercepted along the Canadian border. Attempts to restrict alcoholic beverages were increased. [5/12/1933, 00:00]: Complete cessation of all anomalous alcohol beverage distribution. Case closed. Agent Riviera: Insubordinate murder of an APAS member, Ambrosio Hermanos; collusion with the Raven Mafia; Resisting Arrest; injuring an active investigator. Site Director Jacobs: Collusion with the Raven Mafia; Treason of the highest order; Resisting Arrest. [02/14/2018, 22:32]: Site Director Reginald Jacobs alerted the Rapid Response division of MST Sierra-8 that Agent Riviera has insubordinately assassinated an APAS member. The arrest of Agent Riviera was warranted. [02/15/2018, 00:09]: Agent Riviera was taken into Authority custody and interrogated. [02/15/2018, 00:58]: Agent Riviera escaped Authority custody. Site Director Jacobs warranted an on-sight execution of Agent Riviera. [02/15/2018, 17:19]: Agent Riviera shot Investigator Keller during a firefight between Raven Mafia gunmen and Sierra-8 Rapid Response Operatives. [02/16/2018, 21:54]: Investigator Keller presented evidence of Site Director Jacob's involvement with the RPC-925 shipment raids. Global Director 03 warranted arrest for Site Director Jacobs. [02/16/2018, 22:12]: Site Director Jacobs along with █ insubordinate Authority personnel escaped Site-002. [02/17/2018, 12:00]: Site Director Jacobs was found dead next to a high-ranking member of the Raven Mafia in his house located in Las Vegas. Case closed.